Updated Friday March 29, 2019 by Jay Roup. 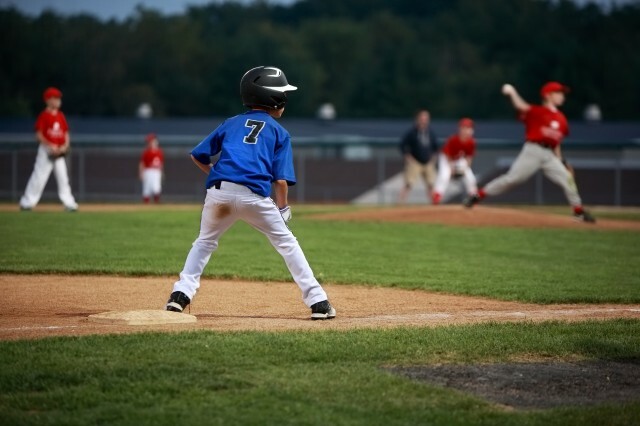 Loveland Baseball Association is a recreational and intermediate league focused on the development of skills and building a love for the game. This is real baseball, played on real baseball fields. Registration is currently open for the 8 and Under (8U), 10 and Under(10U), 12 and Under (12U) and 14 and Under(14U) divisions. To register, please click on the registration banner at the top of the home page. Players may "play up" in a divsion if they are within 1 year of that division. Parents should verify their child is ready to play up before registering. Registration ends April 20th. A tryout will be held on April 13th for the 10U, 12U and 14U divisions at the Centennial Baseball Fields (Corner of Taft and 1st). All players that tryout will have a spot on a team. The tryout is to ensure there is balance between talent, age and ability across each division. Practices will begin on April 22nd and are scheduled at the coaches discretion. You can expect 2-3 practices per week until the season begins. Once the season begins, practices are dependent on field availability and the game schedule. The season will begin on May 18th with a scrimmage day. The regular season will then begin the week following Memorial Day. Each team will play 12 games + the end of season tournament. Games are played M/W/F during the evening and on Saturdays. The season will end the last week of July. There will be no games scheduled the week of June 30th- July 8th. I'm interested in coaching, how do I sign up to coach? During registration, you will be asked if you would like to volunteer to be a head coach or an assistant coach. Follow the instructions and you will be sent through a background check to be eligible. Coaches will selected and notified before the April 12 coaches meeting. The number of coaches needed varies based on the registration numbers. Can I request my child be placed on a team with a friend? Unfortunatley, we are unable to honor these requests. Doing so tends to significantly alter the competitive balance of the league. If you have two children in the same age group and want them on the same team. The Head coach and two assistant coaches can lock their own children into a team. I would like participate in a sponsorship, how can I do that? We have options for team sponsorships and field sponsorships. Please email the board for availability and prices.